Sigh …. you guys …. I’m so depressed over my good deed fail. I can’t even think of anything witty or fun to say so let’s get right to it. First the non-failure. 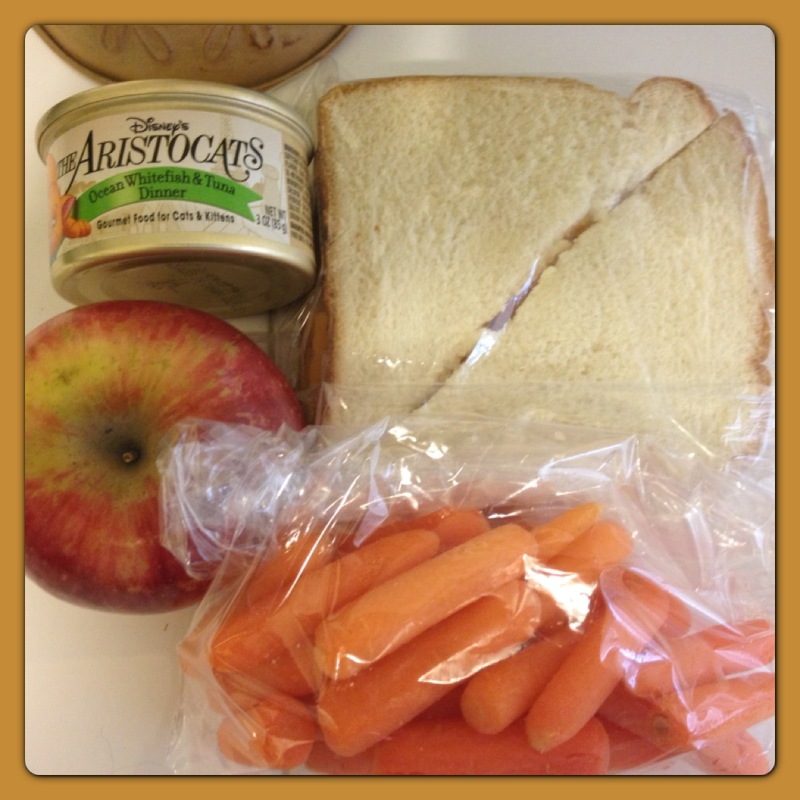 #25 – Sack lunch. Remember when I told you about cat man? No? I first introduced you to him in this post – https://wendyandriggins.wordpress.com/2013/01/15/psst-come-here-for-real-this-time/. Then I suggested the Pasadena mob got to him in this post – https://wendyandriggins.wordpress.com/2013/01/23/psst-come-here-yes-again/. By the way they didn’t. He was back at his spot on Colorado Blvd the same day I wrote that. It was like my blog had magic powers. Anyway, since cat man is always asking for people’s leftovers from The Cheesecake Factory I figured he would enjoy a sandwich. I put together a snack for him and his cat. I have to admit I bought this particular cat food (not only because it was cheapest) because of the cute Arstocats theme. Last night after handing cat man the paper bag full of goodies I practically marched back to my car singing the song Rescue Aid Society in my head. It wasn’t until a moment ago when I googled the song that I realized Rescue Aid Society is from The Rescuers (adorable movie) not Aristocats (an equally adorable movie). I blame Eva Gabor. You can’t voice a cat AND a mouse in different films and expect people to keep that all straight! The Rescue Aid Society song is below from YouTube if you would like to enjoy. FAIL – Thicker than water … especially mine. My good friend Martha had suggested I donate platelets as one of my good deeds. Martha is a very nice person and has been donating platelets since I’ve known her. This seemed like a good idea but I didn’t think I could manage platelets. To tell you the truth I don’t really know what that means. I just know it takes longer than blood donation. Martha explained it to me once and I immediately forgot. I picked up a pamphlet about it thinking I’d do some research and educate all of us. Alas I don’t have it in me know … perhaps Martha will explain it again. 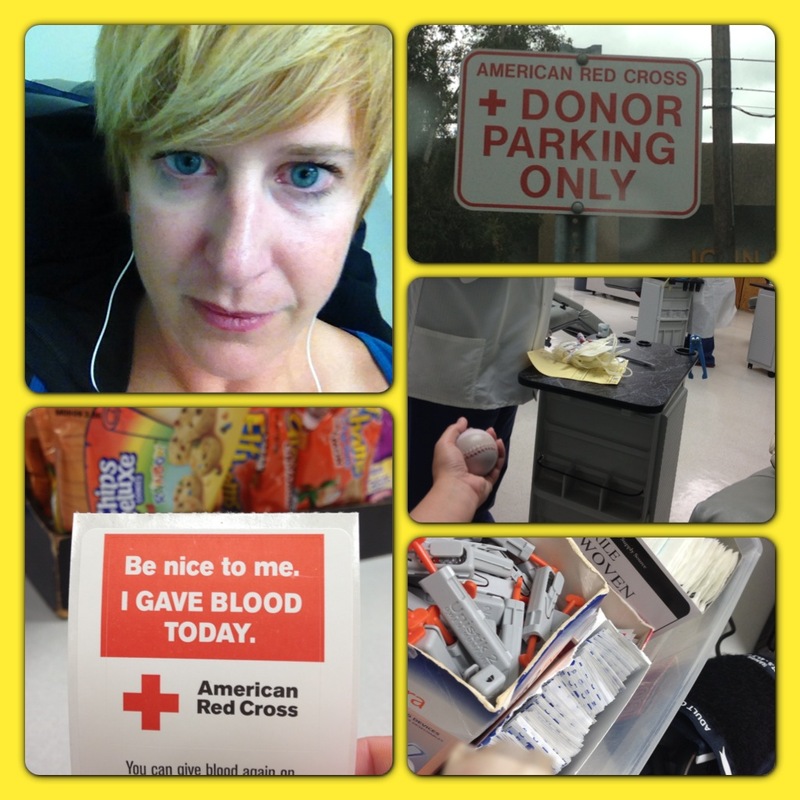 A week and 1/2 ago I made an appointment to visit the Pasadena Red Cross blood donation center to donate blood. Today was the big day. I have never donated before so was a bit nervous. It isn’t that I necessarily have a problem around blood. It is the IDEA of taking my blood that makes me queasy. I have a very active imagination. I once fainted (or nearly fainted … I made it to the ground but only to my knees) while getting my head x-rayed. I think they were looking at my sinuses. I don’t really remember. I just know the tech warned me to stand VERY STILL which was enough for me to imagine my brain going to goo because I breathed too heavily and down I went. Slid right down the vertical table. I was pumped (no pun intended) to donate. It seemed like such a terrific good deed! In my mind it would be so easy I’d make it a regular thing. I was a bit nervous as I went through the pre-questions and iron test. I don’t know why I thought I would fail but I couldn’t imagine the shame of being marched out of there deemed unworthy. Luckily, or so I thought, I passed and was escorted to a blood sucking chair by a very nice lady. I popped in ear buds and turned on an Adam Carolla podcast. I knew if things got bad in my head I could count on him to make me giggle. That part worked fine. In fact I caused people to stare at me a couple of times when I laughed out loud. The poor woman in charge of taking my life source had to dig around a lot to try to make it work. Then she called over the boss who said it looked right and couldn’t figure out why the blood wasn’t oozing from me faster. Then after a few minutes she announced, “okay you are done.” Apparently my blood was clotting and there was no way they could take anymore. FAILURE. I was so upset I almost started to cry. She suggested maybe I was dehydrated and didn’t drink enough water. My answer was, “are you kidding I’ve spent the last 24 hours in the bathroom.” Being a good student I had done what I was told and increased my liquid consumption before the big day and had indeed spent quality time in the restroom to prove it. She shrugged and said I shouldn’t get discouraged and should try again. Sigh …. I’ve always said I live in a constant state of dehydration. I guess I really do! They did get almost a full bag so I hope they can do something with it beside just throw it out in the reject pile. I was sweaty and queasy and my arm was already becoming bruised from the poking around with a needle so, head down, I went to the snack table to sit down and eat some Kibbler products. I signed up for another try in 8 weeks. We will see how that goes — if it goes. Sniff. Total fail! I gotta shake it off. It is all so depressing. I think I deserve a treat. Maybe I’ll go get something yummy to eat for dinner. I want a margarita but now I can’t drink alcohol for 48 hours and still have to drink more water than usual. More bathroom trips in my future! Reminds me of my last effort to give blood. I was all pugged in giving blood and then the lady said air got in the line and they would not be able to accept it. Fail! A time before that I gave blood at the hospital for Grandma Newell when she had open heart surgery. After, I passed out right in the middle of the ICU entrance door. Dad was so embarassed. He really wanted me to get and get moving. Ha! You are the nicest, most adorable person on the planet. Period. Not a fail! 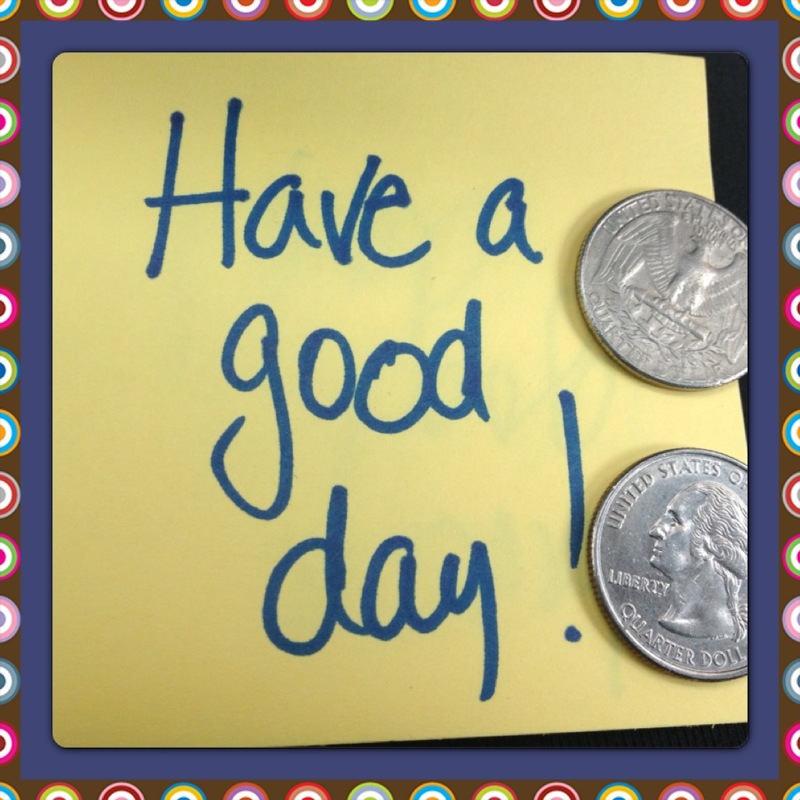 You went, you tried, you did give almost a whole bag…that is more than most people have ever done! I can’t donate regular blood because it comes out too slow and clots. I bet the man and his cat were really happy, though.